Marvel currently has a ton of different TV shows either on the air or in-development at various networks and on various platforms for fans to get excited about. 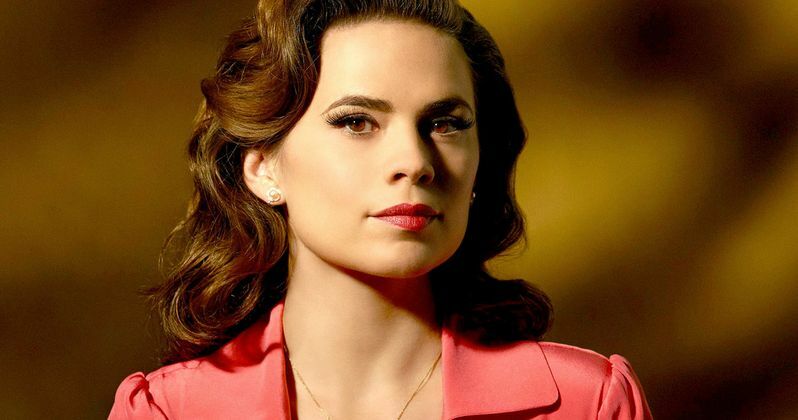 Most of the Marvel shows have been very successful to this point, but ABC pulled the plug on the beloved Agent Carter after just two seasons. Fans quickly looked to Netflix, hoping that they would step in and save the series, as they had done with other shows in the past but that never happened, and we finally know why. Speaking with Entertainment Weekly, Netflix chief content officer Ted Sarandos finally gave an answer as to why the streaming service didn't pick up Agent Carter for a third season. As it turns out, it had nothing to do with them not having faith in the series, it was strictly a business decision. Here is what he had to say on Netflix passing on Agent Carter. "We're looking for truly original brands to own. And in that Marvel space we already have [original comic book shows] - so that was mostly why." Even though Sarandos didn't say a lot, there is a lot to pick apart and dig into within that statement. Firstly, Netflix has made a massive push for original content in the past couple of years. They have been heavily investing in original series and even more feature films over the last year or so. That being the case, it seems like the streaming service is stepping away from rescuing shows from cancellation, which they have done several times in the past. The second half of his statement is perhaps a bit more telling, but it is both sensible and a bit puzzling at the same time. Netflix has enjoyed massive success with their original Marvel shows thus far. Daredevil is largely considered to be one of the best things that the Marvel Universe has created either in the movie or TV space, and Jessica Jones finally gave fans the female superhero they had been clamoring for. Both shows have also been very well received by fans and critics. We know Netflix doesn't share streaming figures, but all signs point to both shows doing massive numbers. The streaming service has several other Marvel shows in-development, such as Luke Cage, Iron Fist, The Punisher and The Defenders, so their comic book plate is a bit full. However, one might also think that, much in the way Supergirl moved over to CBS, Agent Carter could have been right at home with her Marvel friends on Netflix. Granted, the tone is quite different, but the timelines are so separate that it wouldn't affect anything negatively. Agent Carter was the first Marvel TV show of the modern age to face cancellation, despite the fact that fans and critics really seemed to like it. The problem is that for a network show, the ratings simply weren't where they needed to be. Hayley Atwell and Dominic Cooper have both stated their desire to return to the show, should a network or streaming service decided to rescue Agent Carter Season 3. As more time goes by, that seems less and less likely, but a lot of networks need content, and Marvel is a big name, so the idea shouldn't be ruled out entirely. We just know that Netflix is definitely off the table.